The following perspective by Arun Gupta is reprinted here in its entirety with permission from AlterNet where it was originally published and directly from the author. The Right foments group resentment in increasingly apocalyptic terms, to people in need of easy answers in an era of widespread joblessness and uncertainty. Jared Loughner’s attempted assassination of Congresswoman Gabrielle Giffords is a wakeup call for us to confront the reality that hate and violence are encoded in the political DNA of the American Right. Since Obama took office in January 2009, there have been seven separate cases of disturbed white men committing political murders after becoming hopped up on guns, right-wing media and anti-government and anti-Obama blather. And this doesn’t even include Loughner’s attack or other incidents where the gunman was intent on killing but didn’t succeed. Compare this with the lack of political violence during the Bush era, when passions were equally inflamed. This stark contrast demands an explanation for why there have been so many political murder sprees in less than two years. The answer can be found within the strain of reactionary politics that dominates the American Right. The Right thrives on mobilizing group resentment, and the range of its targets over the last 50 years is astonishing: gays and lesbians, African Americans, Latinos, feminists, welfare recipients, reproductive-rights activists, Muslims, undocumented immigrants, government officials, criminals, liberals, antiwar activists, organized labor. The group resentment is fomented and stoked within the right-wing echo chamber, in increasingly apocalyptic terms. With swaths of the public alienated and looking for easy answers in a time of epic joblessness, they latch onto scapegoats that demagogues like Glenn Beck, Lou Dobbs, Rush Limbaugh and Michael Savage provide. As a result millions of alienated Americans are convinced their problems and the national malaise is the fault of Mexicans, liberals, abortion providers and homosexuals. Politicians willing to exploit this hatred can find a large and passionate base. Because extremism stands out in our media-saturated culture, those voices and politicians who are the most outrageous tend to be the most successful. This creates a politics that makes compromise and reasoned discourse all but impossible. Add to that a political system dominated by corporate money, which makes addressing social ills all but impossible, and you have a public seething with anger but with no ready outlet. Denying that the Right mobilizes group hatred or apportioning blame across the political spectrum – such as the bland MoveOn petition calling for all Congress members and TV pundits to end “all overt and implied threats of violence” or Keith Olbermann’s “we need to put the gun metaphors away and permanently. Left, right, middle” – only lets the Right off the hook for instigating violence. The day after the shooting, the New York Times wrote, “extremism, antigovernment sentiment and even simple political passion at both ends of the ideological spectrum have created a climate promoting violence.” This false equivalence, prevalent throughout much of the “liberal media,” also gives cover to the Right’s violent rhetoric because it can always claim the Left is to blame as well. Right-wing pundits and politicians may briefly “tone it down,” even as they lament the bombast on the “other side,” but the hate will come back with a vengeance, just as it did after Oklahoma City because mobilizing resentment is the modus operandi of the reactionary Right. A black nationalist in Pittsburgh fearing the Bush administration is going to ban guns and set up FEMA internment camps shoots to death three police officers. A socialist and 9-11 conspiracy theorist shoots and wounds two guards at the Pentagon. That’s why Jared Loughner’s politics are largely beside the point. He appears more deranged than political, though his ramblings do hit right-wing hot-button ideas of anti-government, treason against the constitution and a gold-backed currency. What’s more relevant is that the massacre is just the latest one in the Obama era and that his intended target, Giffords, was a woman, Jewish, in favor of the health care bill, opposed to Arizona’s racial profiling law and a Democrat. Every one of these groups and issues are targets of various sectors of the Right. The roots of right-wing political violence go back 200 years to the French Revolution. That was the birthplace of Left and Right, and the conflict between those seeking a radically democratic and egalitarian society versus reactionaries, those desiring a society based on tradition and hierarchy. In the early 19th century, reactionaries favored the church, the king, the aristocracy and property, today they are for patriotism, Christianity (with a few exceptions), the free market and class, white, male and heterosexual privileges. Over the last two centuries, the Right has always mobilized group resentment and difference based on these various categories. But it’s not history alone. There is organization and planning, in this case the deliberate stoking of anti-Muslim nativism by the Right. Max Blumenthal connected the dots between various right-wing funders, organizations, leaders and activists, concluding, “the Islamophobic crusade … now belongs to leading Republican presidential candidates, top-rated cable news hosts, and crowds of Tea Party activists.” And as the bigoted fervor peaked before Sept. 11 last year, so did the violence from a stabbing of a Muslim cabdriver in New York City to arson, bomb and vandalism on mosques and mosque sites in Tennessee, Texas and Florida. Also notable is the vitriol against the LGBT community – equating homosexuality with pedophilia, claiming gays try to “recruit” children, downplaying anti-gay violence, stating “Homosexuality gave us Adolph Hitler,” and even calling for the execution of gays – that is a staple of Christian Right groups such as the American Family Association, Traditional Values Coalition, Family Research Council and Concerned Women for America, all of which find a welcome home inside the GOP’s big tent. This rhetoric quickly finds its way into the right-wing echo chamber whether in Rush Limbaugh’s bigotry, Michael Savage’s venom or Fox News in general, which is fond of equating homosexuality with pedophilia. Finding a wedge issue, right-wing politicians pile on with more gay-bashing. On a campaign swing through Brooklyn last October, the Republicans’ New York gubernatorial candidate Carl Paladino warned that children are being “brainwashed into thinking that homosexuality is an equally valid and successful option.” Paladino’s comments were especially heinous coming on the heels three separate incidents of anti-gay violence in New York City. The Right reflexively denies responsibility for creating a culture of violence and hate even as its most prominent pundits and politicians continue to do so. Of course, the same standard is never applied to Muslims charged with trying to carry out violent attacks on U.S. soil. Juan Cole points out that “right-wing Muslim crackpots and the right-wing American crackpots are haunted by similar anxieties,” so it’s time to start using the term “white terrorism” to refer to these attacks. Other than Muslims, Latino immigrants are on the receiving end of more right-wing vituperation than anyone else, which also bleeds over into deadly violence. As the issue of immigration across the U.S.-Mexico border heated up in recent years, the right-wing media was aflame with caustic rhetoric while the FBI logged a 53 percent rise in hate crimes against Hispanics from 2003 to 2009. In 2007, Lou Dobbs Tonight, the O’Reilly Factor and Glenn Beck discussed illegal immigration on a stupendous 402 shows combined. Much of it was outright demagoguery: talk of an “illegal alien crime wave” that never existed, falsehoods claiming undocumented immigrants consume more in services than they provide in taxes, and conspiracy theories about a North American Union and secret “Reconquista” plans for Mexico to reclaim the Southwest. A second reason for a wake-up call is to dispense with the idiocy that the Left and Right are equivalent, which was the premise of Jon Stewart’s “Rally to Restore Sanity.” Sure, there are plenty of nutty leftists who believe the Bush administration carried out the 9-11 attacks, but none (or even all combined) have a smidgen of the power or influence of the hundreds of right-wing politicians and pundits who are birthers or call Obama a socialist. During the Bush presidency, was there even one case of a liberal going on a political murder rampage in eight years? How about one example of a leftist carrying a gun at a Bush rally – where people were routinely arrested for the content of their T-shirts – unlike the dozen men who openly packed heat at an Obama rally in Arizona or the individual outside an Obama event in New Hampshire with a pistol strapped to his leg totting a sign threatening, “It is time to water the tree of Liberty”? Likewise, a random blog posting by an unknown liberal (the “dead to me” comment about Giffords that the Daily Kos removed and which is now ricocheting around the right-wing echo chamber) is of minuscule significance next to Glenn Beck, Rush Limbaugh, Sean Hannity, Ann Coulter, Jonah Goldberg, Cal Thomas, Michael Savage and many other right-wing mouthpieces constantly comparing Obama to Hitler, painting bleak visions of social collapse, fomenting revolutionendlessly and calling on their followers to “grab your guns.” It is no wonder that from 2008 to 2009 the number of conspiracist and antigovernment Patriot groups soared from 149 to 512 and the number of militias from 42 to 127. Glenn Beck in particular loves to talk about history, but you will never find him delivering a honest appraisal of the history of the Americas since Columbus: the genocide of indigenous peoples, the countless millions of Africans who perished in the middle passage or under chattel slavery, the repeated pogroms against Asians, Mexicans and blacks in the 19th and 20th century. David Neiwert, in his book The Eliminationists, recaps much of this history from the deliberate extermination of Native peoples over nearly 400 years to the few survivors who still live under appalling conditions, mainly in the Western U.S. There is the post-Civil War history of KKK terror, 1,322 documented lynchings from just 1890-1902,repeated incidents of deadly ethnic cleansing of Black enclaves in Midwestern and Southern towns in the early 20th century, and the vicious white backlash in the Civil Rights era. Neiwert also writes of little-known instances of anti-Asian violence in the late 19th century that precede the internment of some 120,000 Japanese-Americans during World War Two. Neiwert argues these are all examples of “eliminationism” – “a politics and a culture that shuns dialogue and the democratic exchange of ideas in favor of the pursuit of outright elimination of the opposing side, either through suppression, exile and ejection, or extermination.” He adds, “Eliminationism has become an endemic feature of modern movement conservatism …. It shows itself as an unwillingness to argue the facts or merits of issues and to demand outright the suppression or violent oppression (and ultimately the purgation) of elements deemed harmful to American society.” Ground zero for eliminationist rhetoric is the right-wing media, where [Beck's] comments about “poisoning Pelosi,” fantasizing about “killing Michael Moore,” telling listeners they should “shoot…dead” 9-11 conspiracy theorists, “don’t kill all the liberals, leave…two on every campus; living fossils,” and much, much more. And last year, the eve of the 150th anniversary of the start of the Civil War, was marked by Republican governors issuing proclamations marking April as “Confederate History Month” while excluding mention of slavery. The Right’s relation to reality is so tenuous that it still tries to maintain the Civil War was an issue of “states’ rights” and Republican politicians are still talking secession or asserting states’ rights in opposing the Obama health care plan. What most on the right want to forget is that five of the 11 Southern states that seceded cited preserving the institution of slavery as their reason in revolting against the Union. The right’s denial of atrocities over hundreds of years of history is matched by its denial of the political violence over the last two. There is one more key component to the violence this time: a culture that glorifies guns and violence. Need we be reminded how gun stores reported a doubling or tripling of sales right after Obama’s 2008 election? When you add it all up the right-wing violence was all too predictable. The Department of Homeland Security’s April 2009 rather tepid report on “Rightwing Extremism” – which was met by howls of outrage from conservative pundits – described how the threat of “violent attacks” was increasing due to “the prolonged economic downturn,” “the election of the first African American president,” the possibility of firearms restrictions and the recruitment of returning military vets by right-wing extremists. These killings were an overture to the town-hall rage during the health care debate in the summer of 2009 and occurred as the Secret Service was overwhelmed by the nearly 1,000 death threats a month against President Obama. Certainly rhetoric like this had nothing to do with the Tea Party mob on Capitol Hill last year yelling racial and anti-gay slurs at Congress members during the health care vote or the 300 percent increase in threats against members of Congress in early 2010, much of it coming from gun nuts OD’ing on right-wing media, and mostly against Democrats. If anything, the tragedy was the result of the reactionary Right’s politics of demonizing the other. The time has come to attack the Right, not with guns, but with words and ideas to expose its destructive and deadly politics. UPDATE, 1/18/2011: The following is Keith Olbermann's appropriate response to the response from the right since the tragedy in Tucson. Nicholas, this, from the far-right News Busters on that post, "Joseph Stack flew his plane into the IRS building after writing an anti-conservative manifesto" shows that there is a huge stretch in that argument. Stack's rants were as anti-gov't right-wing as they were left, not unlike Loughner's online rants. Can we agree that the violent rhetoric coming from the left and the right needs to be toned down? 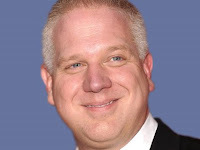 Specific to this blog, Glenn Beck needs to become an honest and loyal dissident and stop inciting violence as he has. As a former dissident, I am not against anyone speaking out against policies that they disagree with. This Review was begun because Beck is such an obvious liar and hypocrite about his supposed principles. It turns out that he's a charlatan, a demagogue and perhaps a megalomaniac too. Maybe this tragedy will serve to make an honest man of Mr. Beck, but so far that has not been the case. Your are using Far-Left wing rehetoric as references to attack Glenn Beck. Now is Beck a good person, I have no idea as I have rarely listened to his shows. What little I have heard has been copmpletely reasonable. Now the Keith Olberman's of the world and Media Matters (which you use for sources) I have seen completely far stretched truths on the verge of lies come from both. So they would be eliminated as a credible source. As for Beck maybe I should listen more and see how credible he is, but I would never take the word of Olberman or Media Matters. Nickolas, liberalism is not "far left." Communism is far left, OK? I am using liberal rhetoric of Olbermann and Gupta. Since you admit you don't know much about Beck and rarely listen to his shows, maybe it would behoove you to read more here. Start with the contents. If you can show where I have anything, any criticism of Beck here from myself, from Media Matters or from Olbermann that are "far stretched truths on the verge of lies," tell me. I will check your fact checking and make an update on that post if you're correct. Media Matters is FAR MORE CREDIBILITY than Glenn Beck will ever dream of having because they fix their errors. Beck lies routinely and rarely, if ever, goes back and fixes his many, many false claims.